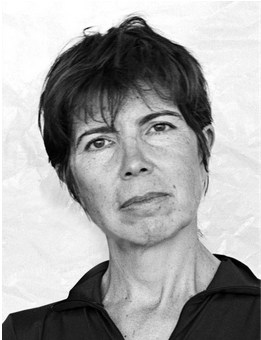 Her firm, Diller Scofidio & Renfro, partakes of criticism that goes past academic papers and into real structures – buildings and art installations that seem to tease the squareness of their neighbors. DS+R was the first architecture firm to receive a MacArthur “genius” grant — and it also won an Obie for Jet Lag, a wildly creative piece of multimedia off-Broadway theater. A reputation for rampant repurposing of materials and tricksy tinkering with space – on stage, on paper, on the waterfront – have made DS+R a sought-after firm, winning accounts from the Juilliard School, Alice Tully Hall and the School of American Ballet, as part of the Lincoln Center overhaul; at Brown University; and on New York’s revamp of Governer’s Island. Their Institute for Comtemporary Art has opened up a new piece of Boston’s waterfront, creating an elegant space that embraces the water.